“There is in man a multiplicity of tendencies, of appetites that are more or less concerted or divergent, a «poly-psychism» that has been likened to a large «nation» governed by reason and will, in which one finds both submissive and disciplined citizens, and recalcitrant and dissident ones. What has been called ascesis and spiritual combat is nothing but the manifestation and method that can be applied in this inner «history», in this «militia hominis adversus et propter semet ipsum». (…) Because any definite and determined position will be countered (out of a spirit of contradiction) by the «party» of the displeased. (…) Any of our initial efforts is like a war declaration against the softness and shallowness of the living energies, which they, too, have an instinct of conservation and independence”. This awakens within us an “alien or hostile awareness and new wishes that rise against one’s will.” (L’Action, vol. II, pp. 194-196I). As a young priest, I knew Fr. 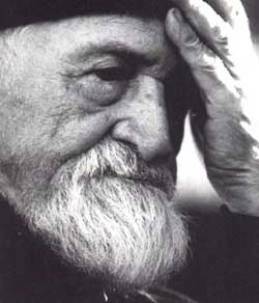 Dumitru Stăniloae very well, in the 70-80s, as I met with him both in France, where I received him in my home, and in Bucharest. I had already met the great Starets Cleopa and Fr. Petroniu from Sihăstria Monastery, as well as Fr. 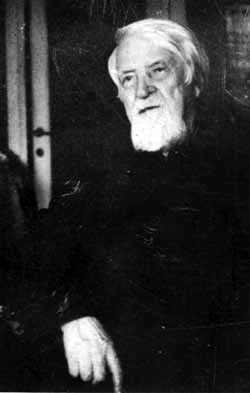 Benedict Ghiuş, who reposed in the Lord at Cernica and who was my spiritual Father, and who all told me about the experience of the Jesus Prayer. The conversations I had with Fr. Stăniloae concerned the great importance that he saw in publishing the Romanian translation of the Philokaly, which he considered the most important work of his life, and, more generally, its dissemination in both the Orthodox and the Catholic world – as his view was not ecumenical, but universal.